If you often find logging into websites a painful process, Mozilla Labs, the developers of the Firefox web browser, has released a beta version of an online system called BrowserID to make the login process easier. BrowserID is a cross platform web tool that simply allows you to log into a supporting website with the simple verification of your designated email address. No need to read remember or type passwords. If the site supports BrowserID, you can get logged in with a simple click. 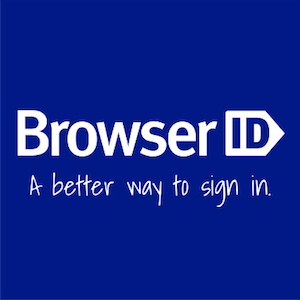 BrowserID explains how BrowserID works for end users, developers, and identity providers. It’s a universal login system that is not limited to Firefox; it will work in any web browser and supporting site. You sign up for the site by using the demo site, MyFavoriteBeer. When you arrive at the site, click the “Sign in” button and go through the sign-in process. After you verify your email address, you’re set to go. You use the same process for other BrowserID-supporting sites, which is similar to OpenID. No other supporting sites, as of this writing, are listed. Since most of us visit the same trusted sites on a regular basis, BrowserID uses what’s called Verified Email Protocol, which is “a way for users to prove to a website that they control an email address, through the web browser“. Even with offline password managers, website log-ins can be a hassle when those managers don’t work like they’re supposed to. BrowserID could be a great alternative to web-centric systems that act as an identity token especially for sites that you trust and visit on a regular basis. This is exactly the same as Facebook Connect. Thanks for sharing this tip, Antrisksh. I use LastPass. Works with all browsers, and I can login to view/manage sites & passwords. Thanks Mil, I'll check this out. This suffers from the same problem OpenID does, which is that it is pretty much like using the same password for every site, which you should never do. If my BrowserID (or OpenID) is ever compromised, EVERY site I use it on has now been compromised. If I use different passwords on every site, and one is comprmised, then I only have to worry about that one site and all the rest are still protected. It might be fine for a site where I say what my favorite beer is, blog comments or other real low-value sites, but using something like BrowserID on high-value sites is far too risky. Peter, I understand your point. But i wonder if there's a category of sites in which it's not a huge problem if your password is compromised? I mean, I wouldn't use the same password for my bank account that I do for simple forum accounts where I leave comments and my real name is not even attached to them. If the password for those types of sites is compromised, there's not much a hacker would get except the ability to make forum comments with my username. Yes, that is exactly what I said in my second paragraph. Lol, you’re right. Sorry about that.